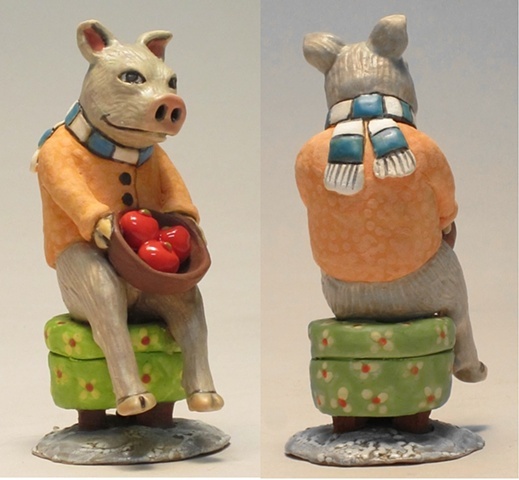 Carrianne L Hendrickson - Clay pig on flowered ottoman. Clay pig on flowered ottoman. 4 x 3.5 x 2.5"